We at Digitally Downloaded weren’t the only ones finding ourselves praising the title: since releasing on PC in 2014 it has won numerous awards, including BAFTA’s Game Innovation award due to, and I need to quote this because I have no idea how else to say it, "its use of advanced photogrammetry tech to create digital assets with unparalleled visual quality using 3D scans of real-life objects.” A mouthful, indeed, but an impressive one regardless. Developer The Astronauts is now preparing The Vanishing of Ethan Carter for an Xbox One release. That means full 4K HD support for the One X! It also features a new Free Roam mode, a fan-requested feature that allows the player to explore the area without a trace of the mystery at hand. The Xbox One version is now available for pre-order and will be released on January 19. Fingers crossed for the updates to come to the PS4 version! Well, this Total War: Thrones of Britannia game is looking good, innit? We do like a good Total War game here at DDNet. The mix of grand strategy, field tactics, and the historical authenticity of it all makes for a series that we just can’t put down. Especially when each time the series takes us to a very different historical time period. Thrones of Britannia, as the name suggests, transports us to the military conflicts that occurred through what is now the United Kingdom. Kicking off at 878 AD you’ll be responsible for dealing with the Vikings and Anglo Saxons… or leading them to a conquest of the island. This trailer is looking really good, too. Built entirely within the game’s engine, this is clearly the most visually impressive Total War to date… and we’re rather looking forward to seeing how it tells its story, too. God bless Aksys for being the one publisher that is happy to localise one otome visual novel after another. It is, by far, the biggest supporter of that particular genre in the west. PlayStation 4 owners have not one, but two new Aksys-localised otome visual novels to look forward to soon when Code: Realize ~Bouquet of Rainbows~ lands globally. 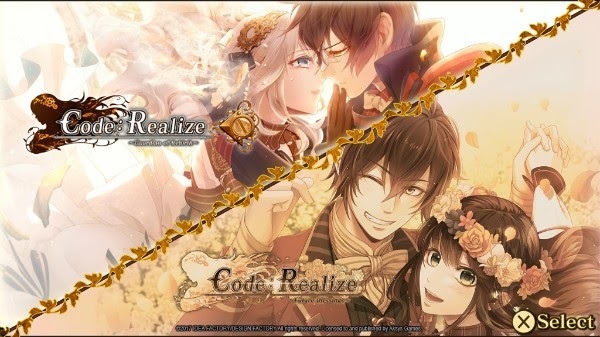 The release comprises of two Code: Realize games — ~Guardian of Rebirth~ and ~Future Blessings~. Developed by Idea Factory, these games have a reputation for being of a very, very high quality, and given that developer is the one that produced the Hakuouki series (if you haven’t played that yet, why the heck not?!? ), you can expect these to tell incredible stories as well. These games have a delightful setting — a Steampunk version of London in the 19th century - and plenty of gorgeous boys to meet and date, even as the stories themselves will be quite serious in tone. The package of games will be released on March 30 in North America, and “Spring” in Europe (Autumn in Australia). There’s also a Vita port of ~Future Blessings~ coming this year, to join ~Guardian of Rebirth~ which is already there. Ah yes, another beautiful game currently available for PC/PlayStation 4 is being released on another console. This time though, it’s Birthdays The Beginning coming to the Switch! That’s right, you will soon be able to take the soothing game anywhere to calm your nerves (or visit dinosaurs) … if you’re in Japan. Darn it! The Switch version of Birthdays The Beginning will be renamed to Happy Birthdays (awwww!). 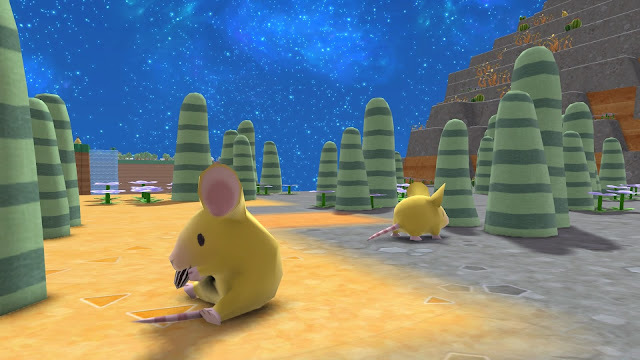 Updates to the title over its former version include easier navigation to information such as weather conditions, game tempo improvements, and new animals. What I love best about Birthdays is that is is very obviously created from the mind of Yasuhiro Wada, creator of Harvest Moon. Sure, he’s worked on Deadly Premonition and Little King’s Story, but as Matt says in his review of the PS4 version of Birthdays, "with Birthdays it feels like he’s back at home, playing with the kind of experience that he in so many ways pioneered.” And I’m certain Birthdays will also feel right at home in the palm of our hands… if it comes west.. but I’m waiting patiently.